A number of camera manufacturers introduced of 1 card slot cameras in 2018. Many believe this is an unforgivable sin in the professional world of photography, however Michael thinks otherwise. 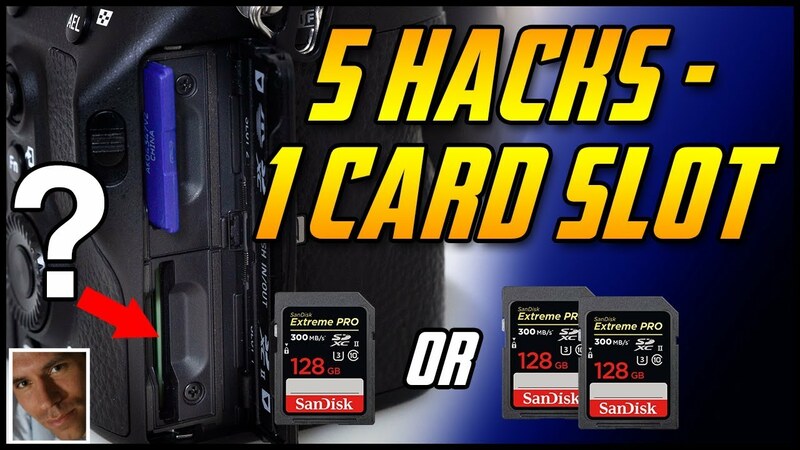 Here are 5 hacks that allow pro shooters to use 1 card slot professionally and get away with it. Enjoy! PRIVACY and DISCLOSURE: * Michael The Maven is a participant in the B&H Photo Video affiliate program that provides an advertising commission if you purchase through our links. * If you purchase something from my affiliate links, I will get a small commission with no extra cost to you. * Everything stated here is my opinion, and I sometimes make mistakes. I will never recommend a product I do not either use, truly love or think would be the best fit for the situation (often determined by budget).